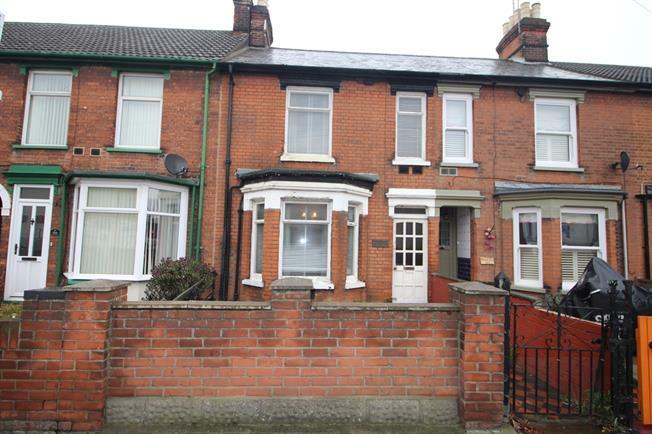 3 Bedroom Terraced House For Sale in Ipswich for Asking Price £127,500. The property is in need of refurbishing throughout. The ground floor consists of two reception rooms and kitchen. The first floor has three bedrooms and the bathroom. The rear garden is approximately 90'. As mentioned the property needs full refurbishment and is offered for sale with no onward chain.